UNSD, in collaboration with Statistics Korea (KOSTAT), is organizing an International Seminar on population and housing censuses which will provide a discussion forum for countries and organizations to share experiences and lessons learnt from censuses conducted during the 2010 round. Discussions will center around 1) emerging methodologies for the census, 2) use of modern technologies during census operations, 3) strategies for managing the cost of the census, 4) demand for and provision of census micro data, and 5) the likely future of census taking. This Seminar is being organised by the United Nations Statistics Division, in collaboration with Statistics Korea, the national statistics office of the Republic of Korea. A green economy has been recognised as one of the critical development models for the future which improves well-being and social equity while significantly reducing environmental risks and ecological scarcities. The concept of a green economy has become a centre of policy debates in recent years. During the recent global financial crisis, the United Nations General Assembly and several United Nations agencies underscored that the crisis represented an opportunity to promote green economy initiatives as part of the stimulus packages being put in place to support the recovery. The General Assembly has decided one of its major themes for the UN Conference on Sustainable Development, to be held in June 2012 in Rio de Janeiro is “a green economy in the context of sustainable development and poverty eradication.” We envisage the following outcomes from the Seminar: A recognition that official statistics will be required to inform on green economy issues and that national statistical systems will accordingly need to adapt. An emerging understanding of the key issues/indicators that official statistics will need to focus on. 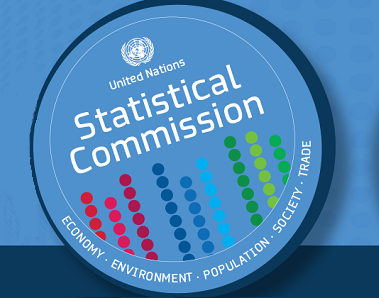 • A sense of the work that international agencies and the United Nations Statistical Commission might best focus on, over and above what they are already doing, to support countries in this work. The Korean National Statistical Office (KNSO) and the United Nations Statistics Division (UNSD) are jointly organizing a Conference on Climate Change, Development and Official Statistics in the Asia-Pacific Region. The Conference is to discuss the regional relevance of the recommendations of the Oslo Conference on Climate Change and Official Statistics held in April 2008 and to contribute to the shaping and refining of a roadmap for the development of official climate change statistics at the national, regional and the international level. The roadmap will be submitted to the 40th session of the UN Statistical Commission in February 2009 for further deliberation.